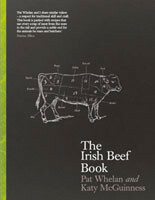 Online Butcher Pat Whelan writes on meat and food in general and this week he talks healthy eating for diabetics. I know you’ll all be thrilled to hear that my new exercise and eating programme are going according to plan and, so far, I have managed to shift close to six pounds in weight or just over 2 kilos! Okay, given the fact that I am a tall, broad man let’s not break out the bunting just yet. I’m not expecting huge gasps about my diminished physical appearance and few will notice any visible difference, but I do and I’m absolutely thrilled with the progress. If I’m honest I have spent more time working on the exercise than pursuing a punitive eating regime. Basically I’m keeping an eye on portion size, making slightly better choices and saying ‘No’ to unnecessary snacks; hardly deprivation. However the more I delve into this lifestyle change the more I realise how timely it actually was. My own research suggests that my increasing waistline was pushing me closer and closer to ill health than I would ever have readily admitted. We know that being unfit and overweight makes it difficult to exert too much energy without feeling distinctly winded. Then along with the difficult breathing and gasping for air, your heart is pounding furiously and working much harder than it was ever intended to. Now I’m not referring to feeling like this after a long run or vigourous workout, but when the exercise has been a race against a three year old one length of the hallway and even with such short legs he still wins! I wish I could tell you that my three year old was displaying Olympic potential and that’s why I can’t beat him, but that’s just not true. While I was aware of the threat of heart disease, to my great shame, I was largely ignoring an even bigger potential problem on the horizon and that was type 2 diabetes. Diabetes occurs when the blood sugar level is too high. This happens when the body is not burning up carbohydrates properly due to a defect in the pancreas, the gland that produces insulin. Insulin is the hormone which keeps blood sugar levels within the normal healthy range. Diabetes may be present either when no insulin is made or when insulin is made but not working properly. Type 1 diabetes often occurs before the age of 35 and usually in people who produce no insulin. They have to inject insulin to regulate blood sugar levels. Type 2 diabetes is where a person can make insulin but the system is malfunctioning, usually due to overload. That is why type 2 is usually associated with being overweight and is more commonly found in adults over the age of 40. Where type 2 is concerned lifestyle and diet are hugely important for regulation and control and, indeed, prevention in the first place. While symptoms of diabetes vary in instensity they may include lack of energy, tiredness, excessive thirst, frequent peeing, vision blurring and recurrent infection. Just to clarify, these are only guides: I’m a butcher and not reliable for medical facts but I do know a few people with diabetes and how they maintain normal lives despite it. Whether type 1 or type 2 the most important thing for the diabetic is to maintain proper blood sugar levels. The diabetic must always remember that there is a ditch on both sides of the road. Going too long without food can be just as problematic as eating the wrong foods. Balance is very important. For this reason many diabetics find it better to eat several smaller meals throughout the day rather than three large meals with protracted intervals in between. The diet should include a variety of fruits including apples, oranges, peaches and plums. It is recommended to eat whole fruit as it provides plenty of soluble fibre as well as natural sugar. Whole grain is much better when it comes to bread, pasta and cereals. Fish is seen as a lifesaver for diabetics especially considering that fish, like salmon and sardines, are full of omega 3 fatty acids which are said to help reduce the risk of heart disease. Diabetic cooking should definitely include a little seafood. Vegetables, which should be part of any good diet are also good for diabetics particularly the greens such as asparagus, broccoli, spinach and cauliflower. Protein is also crucial and lean and red meat and poultry play their part. While meat and poultry are excellent sources of protein for the diabetic the key is to limit the amount of fat. Eat the poultry without the skin and look for lean cuts of meat. The diabetics and those that live with diabetics that I know are all a little wary of specific ‘diabetic’ food. They use one or two products but often sparingly and most try and eat as naturally as possible seeing this as a healthier approach all round. Specially produced diabetic foods also tend to be more expensive than their mass produced equivalents for non diabetics. Of course the thing with food is that if you are preparing meals for a family and people have special dietary requirements, it is always good to find recipes that everyone can share without singling out the person with the ‘disease’. That’s what I’ve attempted to do this week and as lamb is a lean meat it certainly ticks all the boxes. Finally though, type 2 diabetes is largely preventable by a change in lifestyle. If you are at risk forget about losing weight for cosmetic reasons and think about how just a few small changes could have you back on the road to excellent health in no time. Life is short and we should enjoy it particularly when it comes to food, but we won’t be able to do that if we’re unwell. Take control today, the choice is up to you.